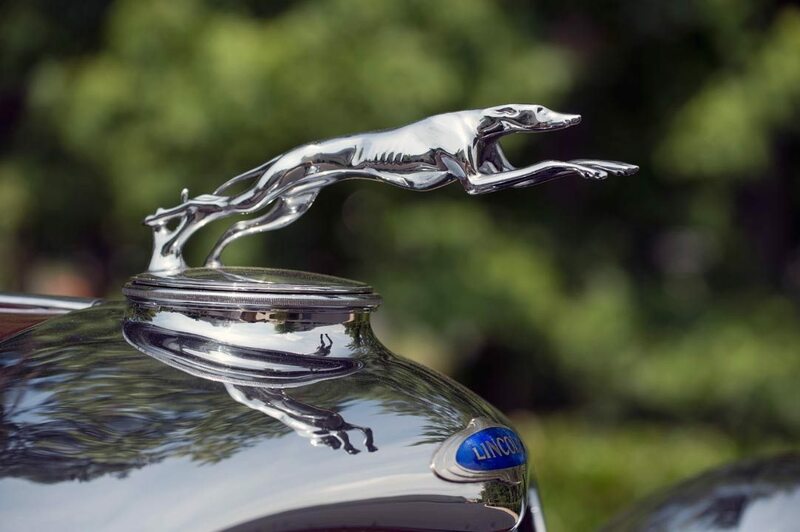 Lincoln offered true custom-built cars during this time period, but the company also placed stock orders, sometimes 50 at a time, to a multitude of premiere coachbuilders such as Judkins, Murphy, Dietrich, and Brunn. This allowed customers the luxury of a coachbuilt auto with the option to customize their vehicles without a lengthy wait for delivery. KB 2532 features what many consider the most attractive of all of those coachbuilt bodies: Brunn’s striking Convertible Victoria. With its low windshield, clean top lines and sweeping fenders, the car is a masterpiece of classic era design. Naturally, the paint exudes Wall Street swank, alternating between subdued burgundy and tan. The bodywork is excellent, and the finishes have been buffed to the kind of liquid-smooth shine that’ll be right at home sitting on any show field. 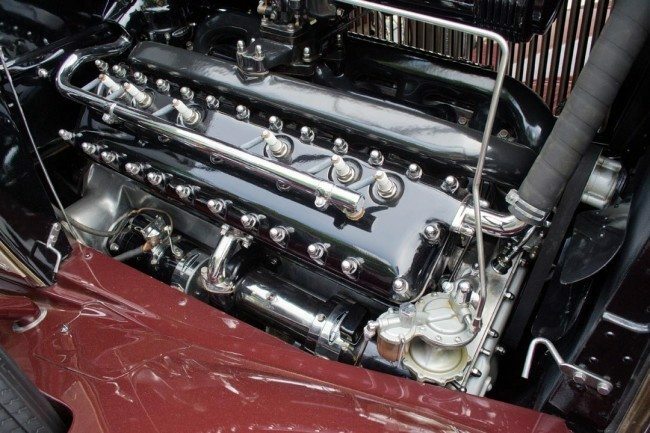 This Victoria’s 448 cubic inch V12 engine is nothing short of an engineering masterpiece, with seven main bearings, fork and blade connecting rods, and dual cylinder blocks. 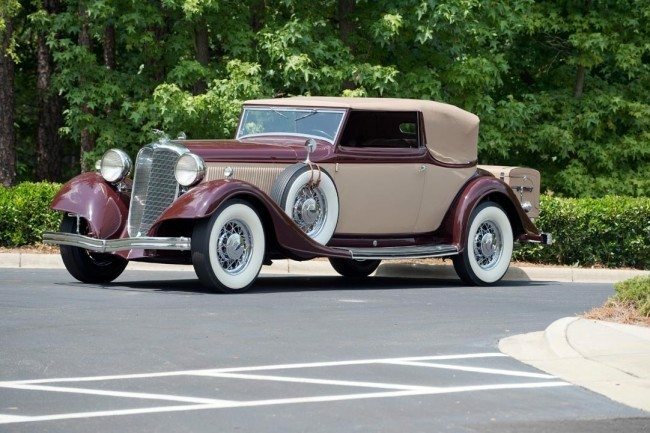 Handbuilt and very expensive to produce, the 150 horsepower mill was so expensive to manufacture that it would be promptly replaced by a more conventional design, making 1933 the last year for the ultimate Lincoln. The chassis is clean and correct, and was specifically designed to receive bespoke coachwork. It features solid front and live rear axles, longitudinal leaf springs and 4-wheel vacuum servo assisted drum brakes. 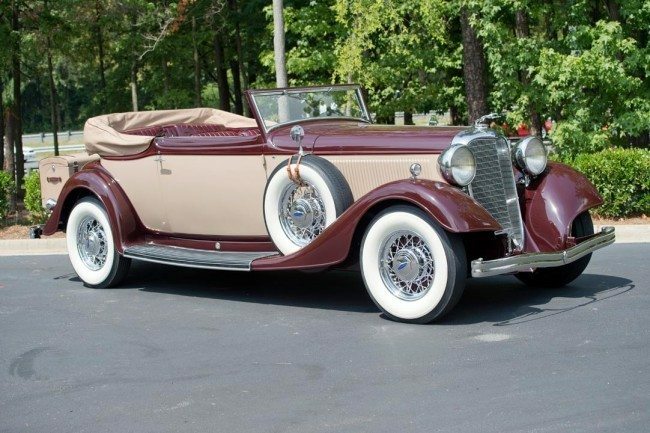 The 1933 model also received a reinforced frame, an adjustable vacuum booster, thermostatic shock absorbers and a new 3-speed transmission. Inside, lovely wood-topped door panels join the elegant Burgundy carpet, and pleated and stainless-trimmed seats serve as the car’s soft points. 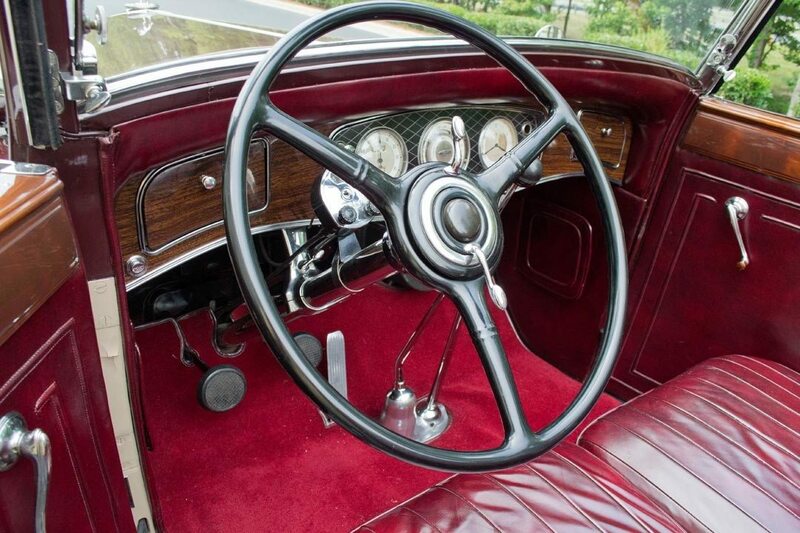 The dash and steering wheel are restored original pieces with period correct knobs, gauges and controls. Overall, this Lincoln emphasizes the kind of secure, luxurious coddling that most showroom-fresh metal lost a long time ago. 1932 and ‘33 Lincolns are regarded as some of the finest and most undervalued cars of their era. This Victoria is an elegant, luxurious and exceptionally stylish reminder of the incredible engineering prowess of one of the world’s most storied automotive franchises, and is 1 of just 533 KB’s assembled.